Key Difference: Britain is an informal term for Great Britain. The terms Britain and Great Britain are commonly interchanged when referring to the Great Britain area. Many people believe that these terms are different; however, they are actually the same. Let me explain further. The term Britain is an informal title for Great Britain, which refers to the area that includes England, Wales and Scotland. The official name of Britain and Great Britain is the United Kingdom of Great Britain. 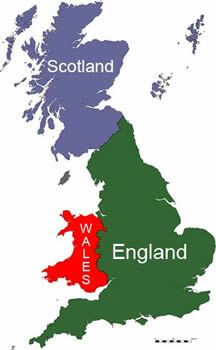 It was termed such in 1707 when King James I passed an act to unite England, Scotland and Wales into one region, making it easier for him to rule. This created the United Kingdom of Great Britain. Great Britain is the largest island of the British Isles and the largest island in Europe. Great Britain is part of the sovereign state of the United Kingdom of Great Britain and Northern Ireland, constituting most of its territory: most of England, Scotland and Wales are on the island of Great Britain, with their respective capital cities, London, Edinburgh and Cardiff.